CONGRATULATIONS! You have made an important step by clicking on this link. You are one step closer to achieving your Photo Product Marketing Goals.. At dakis we make a great effort to supply our retailers with as many tools as possible to improve their sales and profits. Our FREE Marketing Material is an integral part of those efforts to get you involved with the process and make it as easy as possible for you to communicate with as many clients as possible. So now you´re wondering " Where do I find this material and what do I do with it." You can watch the following recorded webinar about the dakis - Pixel Princess marketing program or go directly to the instructions underneath. All of our Photo Factory Marketing Material can be accessed in your mydakis.com account. Throughout the year we develop marketing material for our retailers to use on their sites and in their social media accounts. The editable material is posted and made available by clicking on your left band menu in your photo factory account. 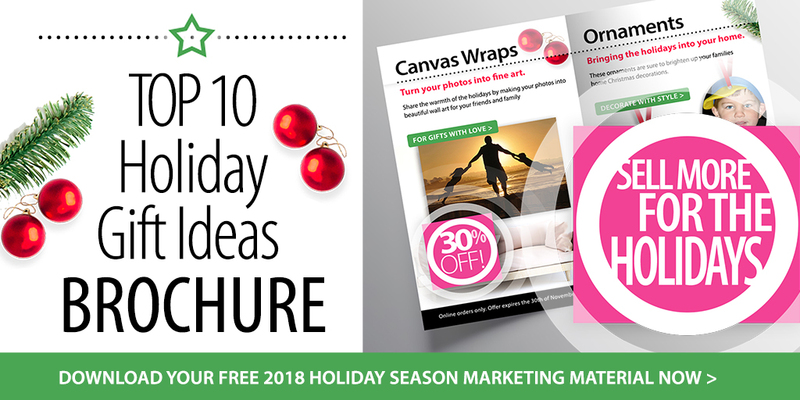 Your 2018 Holiday Marketing Material has been broken down into 3 categories. Calendars, Photo Books and Out Top10 Holiday Gift Idea Brochure. Inside each zip folder that is downloaded you will find a Newsletter for you to customize with your own logo and web address. 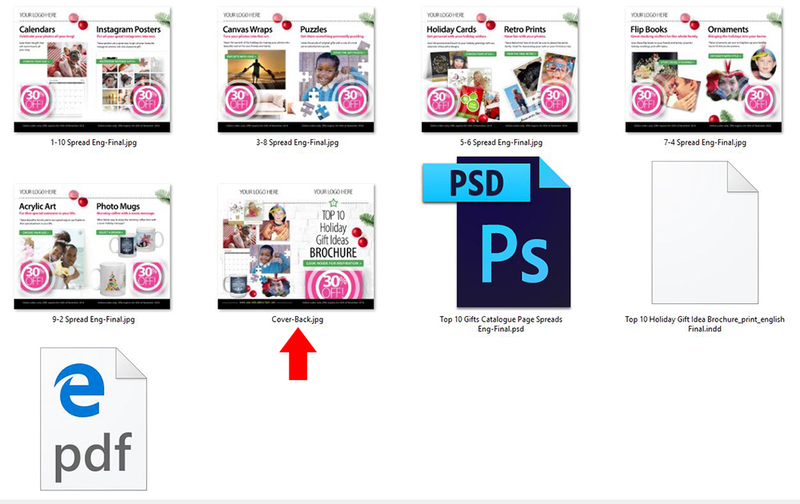 You can also edit any of the rebate bullseyes by opening up the photoshop file and editing the rebate percentage to the amount you want. The Newsletter will include all of the elements that are being promoted for the 2018 Holiday Season which include the TOP 10 Holiday Gift Ideas Brochure, 2019 Calendars and Photo Books. 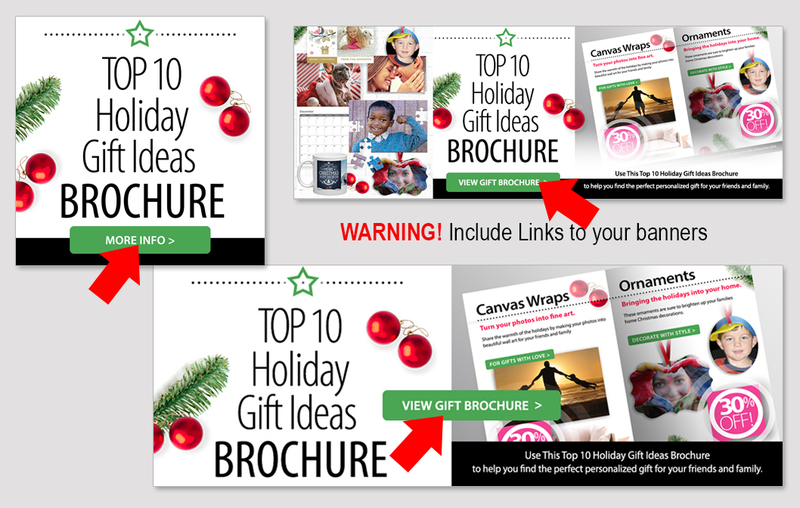 Dakis offers you a landing page for each of the 2018 Holiday Marketing Sections so that your clients can easily find the products that are being promoted. If you already have a dakis website you're in luck! All you need to do is email webdesign@dakis.com (or just click here) and ask them to create the page for you. Make sure that your brochure products have been activated before you send this request out. 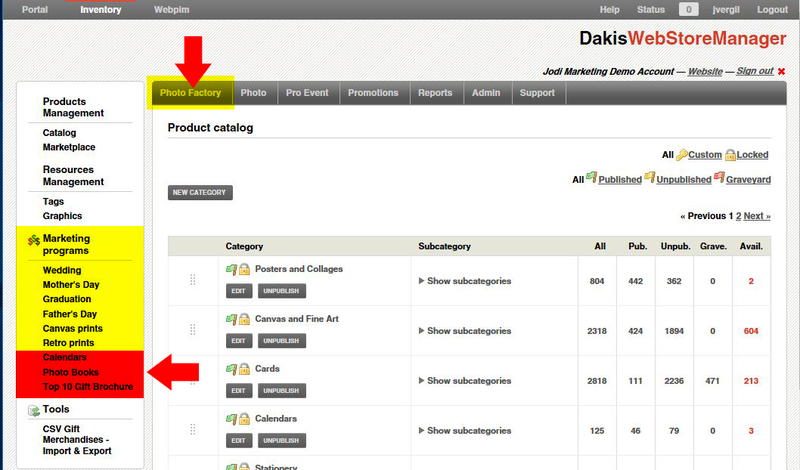 Add the provided banners to your own website, dakis users who have a website with us can consult this article to find out how! You can also change out the banners on the gifting portion of your kiosk, to do this you must contact webdesign@dakis.com (or just click here) and request for them to change out the image. Make sure that your products have been activated before you send this request out. By using the assets we've included in the Marketing Materials you are able to create a newsletter and send it out to your mailing list. Take advantage of the supplied PSD file to add your own special touch. You've worked hard to collect likes and follows from all over the web, put them to good use! Use the social media assets we've created to promote your freshly published calendar templates, get the word out!. We've included assets for Facebook, Twitter and Google Plus, but you can also take advantage of other platforms as well! Here's a list. Don't forget to add a link back to your website! SUPER IMPORTANT!! Need some help creating a link? Find out how! Click here! If you have questions or need assistance with any of the FREE Marketing Material please feel free to contact Jodi Vergil at the following email: pixelproncess@dakis.com The Marketing Material that we build can only be made better with your comments and feedback. I encourage you to reach out and share your wealth of knowledge and marketing needs. The success of these campaign depends on your implementation and feedback. This is your opportunity to increase the value of an order! If you can offer specialty envelopes go ahead and do it! There's nothing stopping you from offering a "color correction" service right from the product page, it really is an easy way to increase income. Find our more here! Disclaimer - Use of the dakis Marketing Material. These images are protected by copyright laws. You must be a dakis Photo Factory, dakis Online Photo Solutions and/or dakis kiosk paying customer to use the dakis Marketing Material. You may solely use these marketing assets to promote your dakis services. You may not use these images for any other reasons. You may not create any derivative work with this marketing material. If you are not a dakis paying customer for the services listed above you may NOT use these images for any reasons and by using these images you are breaching copyright laws and are subject to legal actions against you.